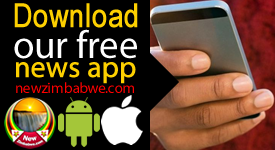 A group of poll based civic organisations has strongly condemned the controversial handling of the postal ballot process by the Zimbabwe Electoral Commission (ZEC) Thursday. This follows opposition claims police officers were Thursday forced top cast their postal ballots in front of their superiors in violation of their right to vote in secrecy. 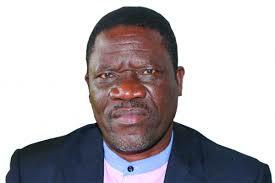 Police and ZEC have denied the claims. But operating under the umbrella, Election Situation Room (ESR), the group accused the poll management authority of failure to publicise the relevant information to concerned parties leading to chaotic scenes witnessed in Bulawayo. At a press conference in Harare Friday, Zimbabwe Election Support Network (ZESN) acting director Ellen Dingani said ZEC’s failure to notify contesting parties, observers and the public regarding the postal vote process created suspicion of malpractice and put into doubt the integrity of the whole electoral process. “ESR is concerned with recent events relating to postal vote ballot process. Members of ESR accredited to observe the 30 July polls reported that the postal ballot was being conducted with members of the Zimbabwe Republic Police (ZRP) amid allegations of supervision by senior police officers during the process,” she said. Zimbabwe’s opposition political parties have blasted ZEC for allegedly putting the country’s poll process into disrepute. 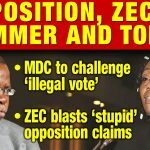 The MDC Alliance headed by Nelson Chamisa has vowed to do everything possible to stop the July 30 election from going ahead if the election management body failed to heed their demands. 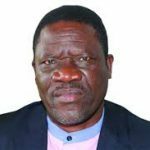 The parties under the popular opposition front Wednesday took to the streets in protest over ZEC’s refusal to roll out some electoral reforms key to the much-anticipated poll. ESR joined in the demands for a clean plebiscite. 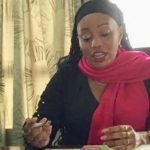 “We are concerned by the lack of transparency by ZEC and this has been further buttressed by the inconsistent statements from the police and ZEC on the process and the removal of statements from the state press by the Acting Chief Election Officer,” said Dingani. ESR is demanding that ZEC puts in place mechanisms that promote secrecy of the postal ballot and to ensure that all processes are transparent and open to scrutiny by citizens, local and foreign observers’ missions in Harare. “The secrecy surrounding the postal ballot has been thrown into darkness. 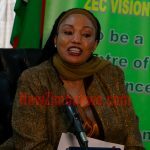 ZEC has refused to tell us who the 7200 applicants of the postal ballot vote are. This raises suspicion on who is really voting under the process. “Why keep it a secret. Not only the uniformed forces are limited to postal ballot vote but, even embassies too as long as these are registered voters,” added Lizwe Jamela from ESR.